WARSAW, Poland U.S. Secretary of State John Kerry vowed Tuesday that a review into NSA surveillance activities would result in the "right" balance between security and privacy and said outrage over alleged espionage and eavesdropping should not disrupt key trade talks between Europe and the United States. 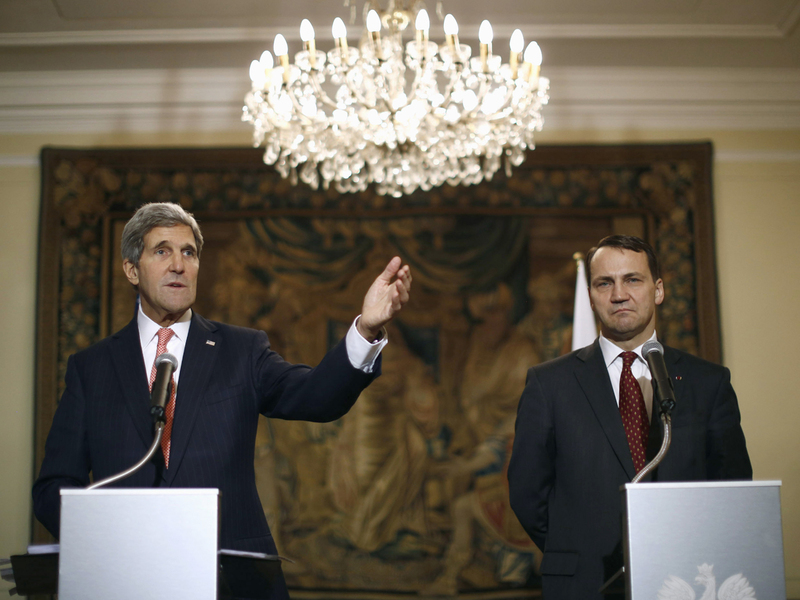 Speaking in Warsaw after talks with Poland's foreign minister, Kerry said Europeans and others have "legitimate" questions about the surveillance and that those would be answered in private diplomatic discussions. "We need to understand that we are all in this together," Kerry said. "We are all in the effort to be able to provide protection to our citizens. And we have to strike the right balance between protecting our citizens and obviously the privacy of all our citizens. That is a balance that we do try to strike." Kerry said President Obama had ordered a complete review of NSA's activities. But Kerry said it was important that concerns over NSA and other activities did not affect discussions about the Trans-Atlantic Trade and Investment Partnership. Some European officials have said the surveillance issue may have a negative impact on the negotiations. "This is about jobs, it's about the economy, it is about economic competition in a global community that competes, sometimes by rules that are very questionable and shaky," Kerry said. Kerry, the most senior Obama administration official to visit Europe since revelations of NSA spying sparked major outrage across the continent, emphasized that the U.S. understood concerns. "We want to hear from our allies, we want to have this conversation," Kerry said. "President Obama welcomes this opportunity to work with our allies. And, ultimately, if we get it right, which we will, we will not only alleviate the concerns but we can actually strengthen our intelligence relationships going forward."